Duane Campbell and Cesar Chavez, 1972. Cesar Chavez, the UFW, and Strategic Racism. On March 31, 2019, Eleven states will hold holidays celebrating labor and Latino Leader Cesar Chavez. A new film Cesar Chavez:An American Hero, starring Michael Peña as Cesar Chavez and Rosario Dawson as Dolores Huerta opened in cities across the country on April 4, 2014. Let us be clear. Chavez was religious, but he was not a saint. Neither were the growers, their Teamster collaborators, nor corporate agribusiness saints. Celebrations should not be about hero worship or uncritical praise, nor should we ignore the present oppression of farm workers in the U.S.
What they did accomplish along with Philip Vera Cruz , Marshall Ganz, LeRoy Chatfield, Gil Padilla, Eliseo Medina and hundreds of others was to organize in California the first successful farm worker union against overwhelming odds. Each of the prior attempts to organize a farm worker union had been destroyed by racism and corporate power.Chavez, Huerta, Philip Vera Cruz, and the others deliberately created a multiracial union; Mexican, Mexican American, Filipino, African-American, Dominican, Puerto Rican and Arab workers, among others, have been part of the UFW. This cross racial organizing was necessary in order to combat the prior divisions and exploitations of workers based upon race and language. Dividing the workers on racial and language lines, as well as immigration status always left the corporations the winners. The violent assaults on the farmworkers and UFW from 1960- 1980 along with the current reconquest of power in the fields by corporate agriculture are examples of strategic racism, that is a system of racial oppression created and enforced because it benefits the over class- in this case corporate agriculture and farm owners. Strategic racism as described by Ian Haney López in Dog Whistle Politics: How Coded Racial Appeals Have Reinvented Racism & Wrecked the Middle Class( 2014) is the development and implementation of racial practices because they benefit a group or a class. Chávez chose to build a union that incorporated the strategies of social movements and community organizing. They allied the union with churches, students, and organized labor. The successful creation of the UFW changed the nature of labor organizing in the Southwest and contributed significantly to the growth of Latino politics in the U.S. The UFW and Chavez and Huerta have always had severe critics from the Right and from corporate agriculture. Dolores Huerta has been banned from the history text books in Texas and Arizona as too radical and because she belonged to DSA. Both also have critics from the left. Frank Bardacke’s Trampling Out the Vintage: Cesar Chavez and the Two Souls of the United Farm Workers. (2011), Verso. is the view of a well- informed observer who worked in the lettuce fields near Salinas as is Lettuce Wars: Ten Years of Work and Struggle in the Fields of California(2012)by Bruce Neuberger. These books, along with Pawell’s have been reviewed in prior posts on Talking Union. On the other hand Cesar Chavez was given the U.S. Presidential Medal of Freedom posthumously in 1994, and Dolores Huerta ( A DSA Honorary Chair) was given the Medal of Freedom in 2012. Teaching materials and videos have been made recording their work. Schools, scholarships, foundations, organizing institutes and political organizations have been named after them. Few labor or Latino leaders have achieved such positive recognition. I, for one, wonder why these authors and some other left writers see the major problem as the growth of what they see as a legend and myths about Cesar Chavez ( and recognition of the UFW) rather than the major problem being the role of corporate agriculture, exploitation and racism. When writers take this view, they then need to explain why and how the parallel decline of the Teamsters, the ILGWU, the Auto Workers , the Steelworkers, the IAM, and other unions occurred during this same era. Compare the period of decline of 1977-1986 in the UFW to the complex battles of the Reuther Brothers to gain control and to keep control of the United Auto Workers, including the UAW’s relationship with the AFL-CIO . (1949-1970). The UAW went from 1.5 million members in 1979 to 390,000 in 2010, and the United Steelworkers and other unions suffered similar declines. It doesn’t require a theory of emotional instability and personal interventions to explain that the smaller, less established, less well funded union – the UFW- suffered dramatic declines from racial oppression and the brutal assault on the union in the fields of Texas, Arizona and California. The above critics under play the role of the corporate assault on unions, and in particular the assault on a union led by Mexican American leaders. This was, after all, the era when Ronald Reagan came to power in California along with the organization of the forces that came to be called neo-liberalism. It was also a time of consolidation of racial power in agriculture. This isn’t to say that Chavez, Huerta and many on the UFW Executive Board did not have shortcomings. They did. Ganz describes several of these in his book and in interviews he participated in for the new book, From the Jaws of Victoryby Matt Garcia (2012). Ganz provide some well researched and insightful observations on the dynamics of a union trying to transition from a movement to a union- or to something else. This analysis is helpful to organizers trying to build unions. There were conflicts and internal contradictions. Not many movements last for even ten years let alone thirty. In addition to the assault from corporate agriculture, the Republican Party, Ronald Reagan, neoliberalism and racism, the UFW was confronted with internal union struggles for democracy, an intra union assault by the Teamsters, and with the tumultuous and disruptive politics on the left in the 60’s and 70’s. In my opinion, Bardacke, Pawell, and Neuberger under analyze the nature of the racial state and the interaction of racial and economic oppression in the fields. And, these critics significantly failed to see the they dynamics of the struggle for Chicano/Mexican American self determination within the UFW. The role of racism, and the individual reactions to systemic structural racial oppression are complex and vary in part based upon the differences in experiences of the participants. As the Chicano movement argued at its core- the experiences of U.S. born and reared Mexican Americans and Chicanos were different than the experiences and the perceptions of racism of Mexican immigrants, both documented and undocumented. There are a diversity of racisms and a diversity in the manner in which workers learn to respond to oppression. Chicanos and Mexican Americans grew up, were educated, and worked in an internal colony. Their schools, their unions, and their political experiences were structured along racial lines. They learned colonized structures. The authors do not sufficiently acknowledge the struggle of the UFW and the Chicano Movement in breaking this colonial legacy. Marshall Ganz in Why David Sometimes Wins, does a better job of describing the internal dynamics of UFW organizing- after all he was there. He describes some of the racial fault lines of farm worker organizing. Ganz was the director of organizing for the UFW in Salinas and a long time member of the UFW executive board. The critics who blame individuals for the union’s decline also miss the important rise of Latino politics in the Southwest today. 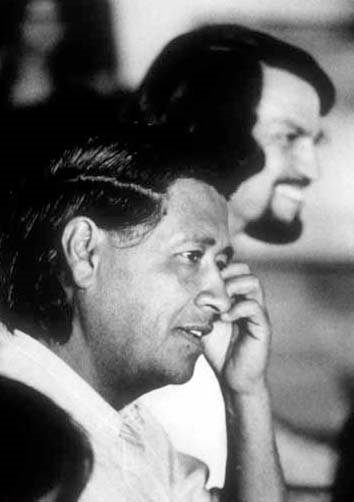 Chavez and the UFW played a significant role by training generations of future leaders as organizers as is well described in Randy Shaw’s, Beyond the Fields: Cesar Chavez, the UFW, and the Struggle for Justice in the 21st. Century. The UFW was a place where hundreds learned organizing skills, politics, discipline, and how to work in multi racial movement politics – skills needed by many on the left. Today hundreds of union and community leaders, particularly in California are veterans, trained in for the long distance struggle of the UFW. The movement led by Cesar Chavez , Dolores Huerta and others created a union and reduced the oppression of farm workers for a time. Workers learned to not accept poor jobs, poor pay, unsafe working conditions as natural or inevitable. Then the corporations and the Right Wing forces adapted their strategies of oppression. The assault on the UFW and the current reconquest of power in the fields are examples of strategic racism, that is a system of racial oppression created and enforced because it benefits the over class- in this case corporate agriculture and farm owners. The current renewed oppression is a product of strategic racism including a complex structure of institutions and individuals from police and sheriffs, to immigration authorities and anti immigrant activists, and elected officials and their support networks. 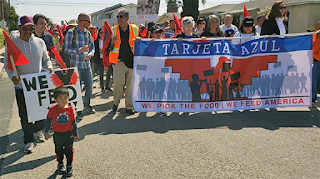 These groups foster and promote inter racial conflict, job competition, and anti union organizing, as strategies to keep wages and benefits low and to promote their continuing white supremacy in rural California. As the union was weakened by the Right Wing corporate assault, the conditions in the fields returned almost to their prior level of exploitation. The Agricultural Labor Relations Act had it budget cut by 30 % for years under Governor Deukmejian in 1982- 1986 along with other assaults on the law. Now, thousands of new immigrants harvest the crops and only a small percent are protected by union contracts. Over 200,000 indigenous workers, mostly from Mexico, harvest the crops in the Southwest. They are Mixtec, Zapotec, Triqui and more. 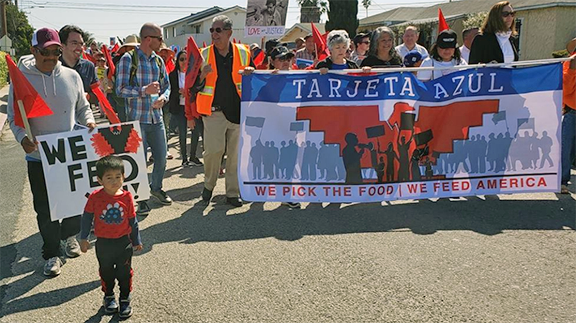 They do have a few health, safety and wage protection by California labor laws, along with the right to farm worker collective bargaining elections and binding arbitration established significantly by the political activity of the current UFW – more than farm workers have in any other state. For a record of this period see David Bacon’s, The Right to Stay Home: How US Policy Drives Mexican Migration (2013). He currently serves as a Co- Chair of DSA's Immigrants' Rights Working Group.